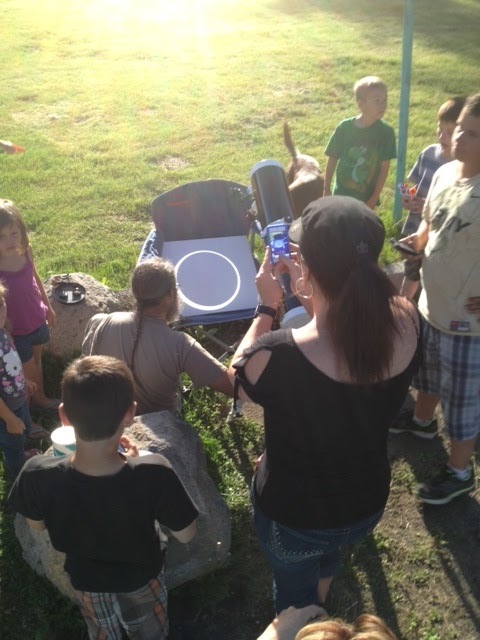 We spent the afternoon of May 20th 2012 watching the Annular Solar eclipse at Hoo Hoo park in McCloud. Hoo Hoo park is a short distance from the McCloud Mercantile Hotel and has a great playground for the kids. An Annular solar eclipse happens when the moon passes in front of the moon but its diameter is smaller then the sun leaving a ring of light. 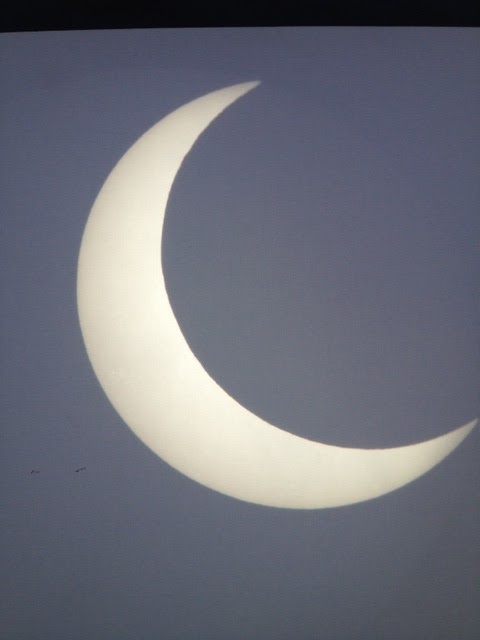 We viewed the eclipse through a telescope reflecting the light onto a screen. I would love the rooftop or hotels that are in an exotic destination to view those celestial events. I feel giddy thinking about. I once watched meteor showers in the balcony of cheap hotels in paddington. I remembered this time because my friend sent me a chat message about some of the budget hotels paddington setting up telescopes and folding chairs outside each unit to look out for this phenomenon. Too bad I missed it.